Russia's soccer fans burn flares during the England-Russia match, June 11, 2016. 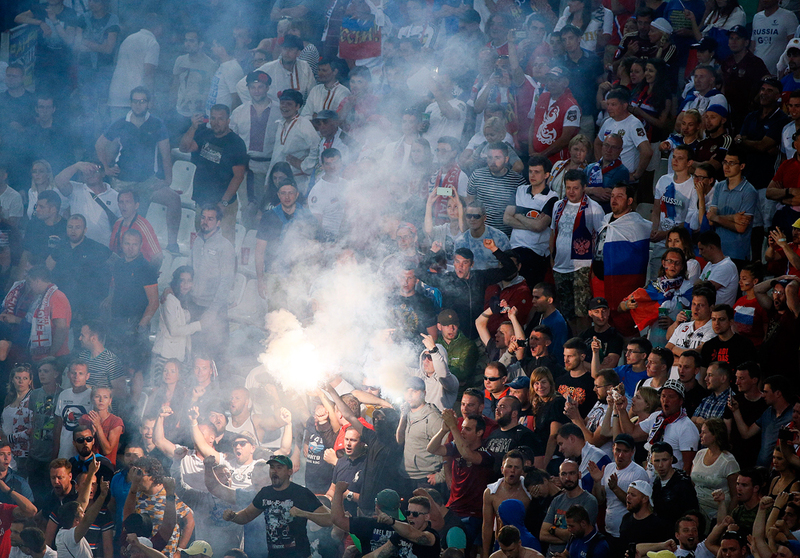 The UEFA disciplinary body has decided to impose a 150,000-euro fine on the Russian Football Union (RFU) and a suspended disqualification on the Russian national team over the disturbances staged by Russian football fans following the Russia-England Euro 2016 match on June 11. Following its meeting today in Paris, "the independent UEFA Control, Ethics and Disciplinary Body (CEDB) CEDB decided to impose the following sanctions: a fine of €150,000 and a suspended disqualification of the Russian national team from UEFA EURO 2016 for the crowd disturbances," UEFA said in a report circulated on June 14.